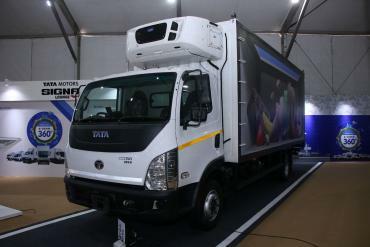 Tata Motors hosted its first end-to-end, experiential expo for the e-commerce industry. The E-Commerce Expo 2019, as it was called, was held at the Devi Lal Stadium, Gurgaon. The company displayed 13 fully built, ready to use vehicles from its line-up. Transportation and e-commerce companies like Amazon, Flipkart, Future Supply chain and DHL were present at the event. Tata Motors showcased variants of SCVs, ILCVs and MHCVs developed for the e-commerce industry. 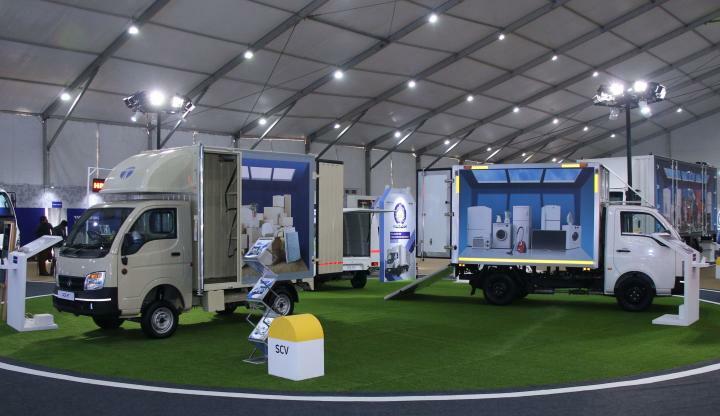 The company's Ace line-up, which includes the Ace delivery van for e-commerce goods, Ace Zip panel van for packages and Super Ace Mini XPS for voluminous goods was on display. The Super Ace Mint Insulated Container, which has been designed for perishable goods, was displayed as well. Also on display was the Ultra range of trucks that is designed for hub-to-spoke transportation requirements. These include 24 FT MS Container On Ultra 1518/53, 20 FT MS Container on Ultra 1014/45, 20 FT MS Reefer On Ultra 1014/45, 3 Side Openable - MS Container On Ultra 1518/53, 22 FT MS Container on LPT 1412/48 and 10 FT MS Container on SFC 407/33. The trucks come equipped with features like OTP lock, CCTV cameras, load sensors, telematics system and other safety features. The medium and heavy commercial vehicle (MHCV) range that is displayed includes trucks like the 24 Ft refrigerated container on LPT 1613/52, 32 Ft Refrigerated Container on LPT 2518/68, 31 Ft MS Container on SIGNA 2818/68 AMT and 32 Ft MS Container on LPT 1618/68 Turbotronn. These trucks are designed for hub-to-hub transportation requirements.